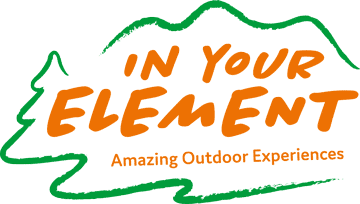 2019 is already looking like a very busy year for In Your Element, with lots of variety across Scotland, including: exciting groups / school residentials and corporate bookings major new multi-activity event for a large Danish corporate client multi-day canoeing expeditions a new outdoor activity base opening in Perthshire and lots more already confirmed! For this reason, we are now recruiting a variety of different outdoor activity instructor roles at locations throughout the country. Positions and Salary: The following positions are available: Outdoor Activity Instructors: *£17k-20k Lead Instructors: *£20k-21.5k Senior Instructors: *£21.5k-£24.5k *dependent on qualifications and experience Contracts: Fixed term contracts are available from end March until end October, although shorter contracts also available. Please note, a full UK driving licence is essential for all available roles. Location: Positions are available at all of the following locations: Cabrich, near Inverness Rothiemurchus, Aviemore Balloch, Loch Lomond Killin/Callender, Loch Tay ** New for 2019** Applications: A CV with accompanying covering letter (outlining why you would be a great addition to the IYE team) should be e-mailed to mike@iye.scot by 5.00pm on Wednesday 9th January 2019. TreeZone Loch Lomond and Aviemore are looking for instructors to work on the course over the summer months. If you are interested in applying or know someone that is, please use the following information to find out what you need to do. Applications: A CV with accompanying covering letter (outlining why you would be a good addition to the TreeZone team) should be e-mailed to: lochlomond@treezone.co.uk or aviemore@treezone.co.uk Interviews: Interviews will be held at the TreeZone Cabin, Loch Lomond Shores or Aviemore. Start date: Flexible start dates available. Application closing date: Friday 8th June (Loch Lomond); Friday 15th June (Aviemore) Find out more here The information pack will hopefully be of use in helping you to decide if we are right for you. If you would like an informal chat about the position or the Company, then please call 01389 496055 and ask to speak to Alistair at Loch Lomond or Chris at Aviemore on 01479 811426 . 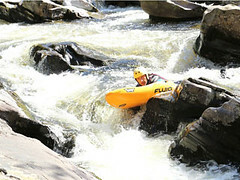 TreeZone Loch Lomond is looking for instructors for the coming season. If you’re interested in applying please send us a CV with accompanying covering letter (outlining why you would be a great addition to the TreeZone team). This should be e-mailed to: lochlomond@treezone.co.uk Interviews will be held at the TreeZone Cabin, Loch Lomond Shores, Balloch. We are currently looking for contract instructors, freelance instructors and TreeZone Aerial Adventure Course instructors. Find out more on our 'Work with IYE' page and please get in touch if interested. Do share this with anyone else you think may be interested. We are currently looking for contract instructors, freelance instructors and TreeZone Aerial Adventure Course instructors. Find out more on our ‘Work with IYE’ page and please get in touch if interested. Do share this with anyone else you think may be interested.